Because we believe in the power of art and design to transform communities, over the years we’ve continued to make sure art is at the center of all our projects, as we continue to work to provide clean and safe access to the river through + POOL. This summer, we collaborated with the incredible Misaki Kawai on some sick gear. Misaki Kawai is an incredibly playful painter that creates brightly paletted work of her immediate and imagined communities. From smiling trees and strawberries to animals and airplanes. 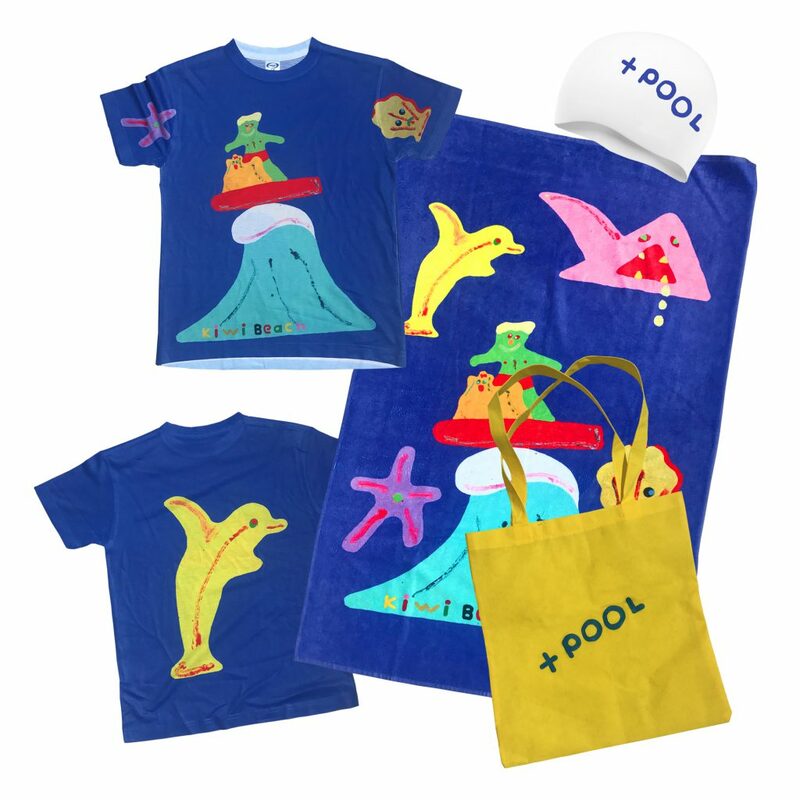 We’re super psyched that she designed the tees and towels for our 2018 Summer Bluefish program, which teaches kids how to swim who would otherwise not learn. We provide a gear kit to all of the students so there are no barriers to participation and they have everything they need to be successful on day one. Pretty rad that this gear includes a Kawai print.